No Better Place to Start! Friday, October 2nd in "Crosbyville". That's where the 2009-10 season starts for the New York Rangers. I can think of no better place to start than this. With all the hoopla and festive atmosphere that will be going on with the Penguins' banner raising, this game should give the Rangers a good idea as to where they stand, how far have they come, or how far they have to go. The Rangers have made a ton of changes to the roster this year (11 new players in total). Starting up front there are 7 new faces with the biggest, of course, being Marian Gaborik. I'm not going to get into each player individually, but I do feel that this bunch will score. Let me repeat: they will score. As we all know that's something that the Rangers have seriously lacked in the last 2 seasons. It's a good mix of veterans as well as some youth injected along the way. They will attack, be faster, and they will be held accountable by coach Tortorella. You can bank on that! The D will see a much needed injection of offensive-minded rookies with Del Zotto and Gilroy. These two will provide a little more offense from the backline than what we have seen over the previous years. I'm also looking to Marc Staal to have the breakout year that we all have been waiting for. He has it all- no question. This is the year to put it together and become "the man" on defense. Obviously if you have been reading the scribes, some players need to pick it up and get back to playing their game to their fullest. We all know who they are, no more exsuses. Just go out and play! In the end, the Rangers will be a more exciting team to watch. It may take some time to figure each other out, but I feel that as the season progresses this team will get better. Yes, there will be some tough times. Especially with the attacking style that they will play. Will there be breakdowns defensively? Sure. But isn't that why you have arugably the best goaltender on Earth in Henrik Lundqvist? I, along with all Rangers fans, am eagerly anticipating the start in Pittsburgh. Remember though, you have to take the good with the bad! Oh yeah.. make sure to check out the Pauly D blogtalk radio program on Monday nights at 8:30 PM EST. 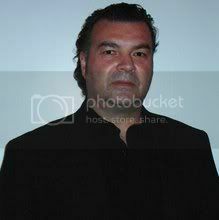 Yours truly has been known to join Pauly on a regular basis and talk Rangers hockey. What more can you want? I know that there are two games left in the pre-season (both against the Ovechkins), but I have come to my conclusions of who should be in the starting lineup come October 2nd in Penguin-land. 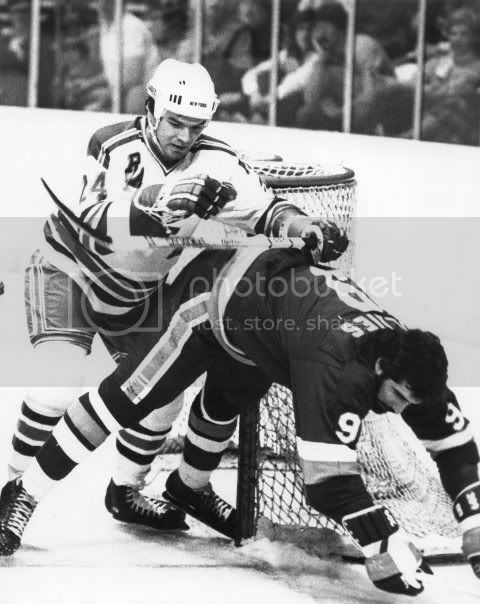 As a former NHL D-man, I will tackle the Rangers defense first. If Matt Gilroy and Michael Del Zotto haven’t impressed the Rangers faithful, then I don’t know what would. Matt Gilroy has speed, puck handling, and appears to be a finisher. You gotta like this guy’s game. It kind of reminds you of Brian Leetch when he jumps into the play offensively. What about that goal that he scored on the semi-break away against the Devils? Speed and hands… a deadly combo! Now, I know this one might cause some of the Rangers pundits to scream, “he needs some more seasoning”. But, frankly, that’s a crock of… you fill in the rest. Michael Del Zotto’s performance has been one of a steady calmness. He looks very composed on the point during the PP (better than most) and is he not already the best passer the Rangers have on the D? Both players will have their ups and downs, but I believe that their positives outweigh the negatives. The final piece to the defense with the obvious 4 that are penciled in is Alexei Semenov. He’s exactly what Tortorella’s been looking for- a veteran presence. He’s big and physical and I think that he has played solid enough to win a job. Now, for the skaters up front. You gotta be a little bit excited when you look at some of these youngsters. Anisimov, Grachev, and Lisin have all proved that they belong. Let’s take Artem Anisimov for instance. 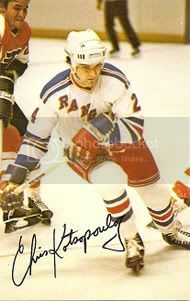 He’s got the size at 6’4”, some professional experience (Hartford), and when was the last time the Rangers fans were treated to highlight reel goals like he has scored? I think it was a guy that wore number 68. Next is Evgeny Grachev. The size is also there with him at 6’4”. The skill and offensive ability is just being touched with this guy. He is a good passer and will score goals, trust me on this. Enver Lisin- much like the aforementioned players also has some size at 6’2”. Do you see a pattern here? I’ll admit, I knew nothing of Lisin coming into camp. However, from what I have seen so far, he appears to have a knack of being in the right place at the right time around the net. Can you say, sniper type player? All in all, I think the Rangers will score this year and with the veteran additions the team has made. Gaborik (don’t worry, he’ll be okay), Higgins, Kotalik, and Prospal and it will make life easier for guys like Callahan, Drury, Avery, and Dubinsky. Some people may disagree with me, but this is how I see it and Tortorella does want an influx of youth! Lastly, you have to like the fourth line combination of Boyle, Brashear, and Voros. They looked good together and have caused a lot of havoc when they played in the pre-season. One thing is for sure, they will come in handy against a team like Philly, wouldn’t they? Over and out! I just got back from two wonderful days with the New York Rangers alumni in White Plains, NY. We held our annual members meeting at the Crowne Plaza Hotel and needless to say it was just awesome to be there! The players that were present, was basically a “Who’s Who” of former Rangers. Nick Fotiu, Ron Greschner, Andre Dore, Rod Gilbert, Eddie Mio, Pat Hickey, Ed Hospodar, Kelly Kisio, Dave Maloney, Brian Mullen, Brad Park, Pete Stemkowski, Steve Vickers, Gilles Villemure, and yours truly. We discussed many things that were happening with the Rangers Alumni, treasurer’s report, updates, and the NHL Alumni itself. 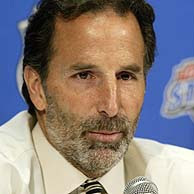 However, the best part of the night was the presence of Head Coach John Tortorella at the meeting to give us an update on this year’s New York Rangers team. Torts was just fantastic. He talked about everything- Gaborik, Brashear, who’s going to fill in the defense this year, what he want’s from his team, how the best players will play the most, etc. He didn’t shy away from some of our questions and he answered everyone. I was really taken by the admiration he has for the former Rangers and old time hockey players. 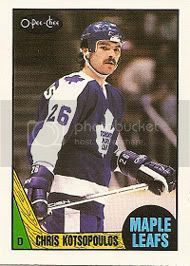 John simply stated that we, who played before, played in an era that he called, “When hockey was hockey”. I was personally thankful for the recognition he gives for the past history of our great game and I think all of us in that room got a little bit of a boost from listening to John. What I also got from Tortorella’s talk was that this Rangers team will be in shape. They will be on the attack and he promised they will be ready to go on opening night in Pittsburgh. The next day we played in the New York Rangers Golf Classic at the Westchester Golf and Country Club (My group and I finished in 2nd place, not too shabby). As usual, the Rangers spared no expense and the night was capped off with the Rangers Alumni honoring two of New York’s own- Nick Fotiu and Brian Mullen. Let me tell you, it went perfect! Sam Rosen mc’d the event and every player, past or present, took a bow. The best, however, was saved for Nicky and Brian. Both defied the odds and proved that if you want it bad enough, you can succeed. 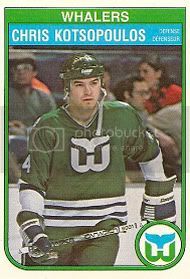 I have a special fondness for Nick Fotiu. He was a teammate of mine, a good friend, and better still- just a good person. Congratulations to both of the honorees, you earned it! On a personal note, it was great to see some of my former teammates like Steve Vickers and Ron Greschner again. And, I can’t tell a lie, we did break curfew both nights. I guess we will have to pay the fine! Over and out!